Tuesday, September 19, 2017, at 10:00 pm on NBC (check local listing). In anticipation and celebration of the triumphant Sept. 28 return of Will & Grace on NBC, the network and the Paley Center are collaborating on the hour-long special The Paley Center Salutes the Best of Will & Grace. 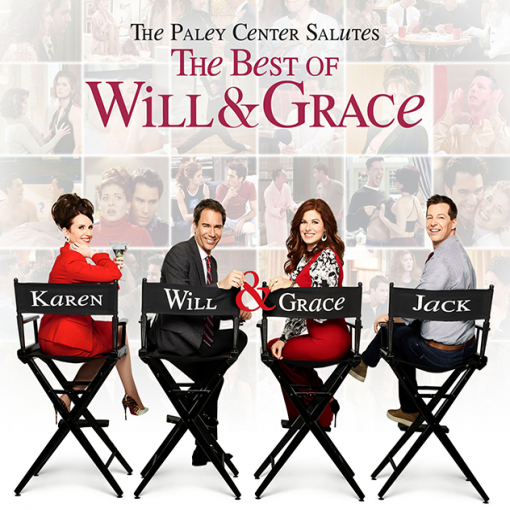 Comprised of the best moments from the show's original eight seasons, The Paley Center Salutes the Best of Will & Grace will also feature new and exclusive interviews with the show's stars Debra Messing, Eric McCormack, Sean Hayes, and Megan Mullally. Also included is never-seen-before behind-the-scenes footage of the iconic series that won critical and audience acclaim for its brilliant comedy and groundbreaking focus on gay characters and their life experiences.